The Castelli Free jacket is an impressive piece of kit that will keep you warm on all but the coldest of days. The Gabba might have grabbed the headlines over the past few years, but Castelli have an impressive range of other jackets to cater for every meteorological scenario. The Castelli Free jacket is designed to keep the cold out on dry, winter days, and does a good job with a garment that is close-fitting in all the right areas to keep the wind at bay. At £175 RRP, the Castelli Free jacket sits bang in the middle of the Italian brand’s range of windproof jackets and is designed for temperatures of between zero and 10ºC. In reality though, you can extend this range depending on what other pieces of clothing you choose to pair it with. The main body of the jacket is made from Gore Windstopper X-Fast 2 fabric, which, as the name suggests, does an excellent job of stopping the wind. What’s more the inside is light fleece material, meaning that we were comfortable riding in temperatures up to 15ºC with only a base layer underneath. 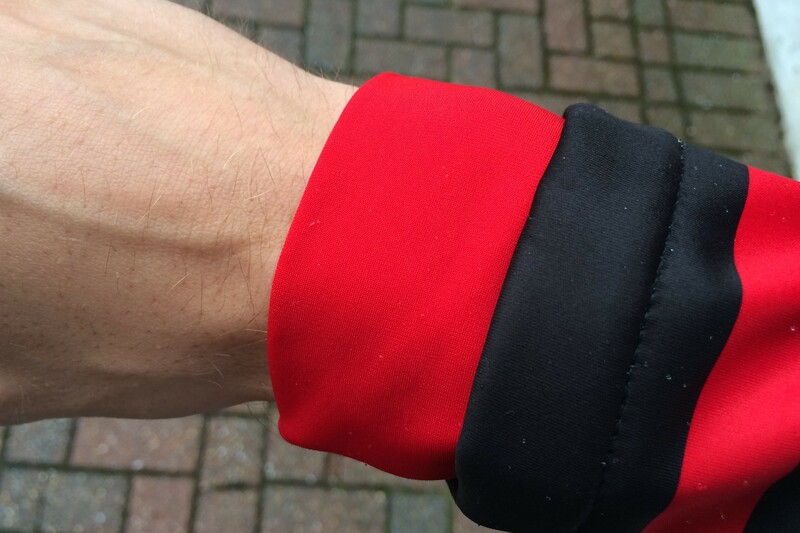 But the highlights of the Castelli Free jacket are in the details. Extended internal wrist cuffs make sure there’s no annoying gap between your gloves and jacket, and are also slightly elasticated to ensure a tight but comfortable fit to create an effective draught excluder for your arms. It’s a similar story with the collar, which is made from the same Thermoflex material as the cuffs, and extends high around the back of your neck and can be flipped down if the temperature rises by a few degrees. The jacket is closed with a YKK zipper that reaches at least half way up your throat to seal in the warmth. 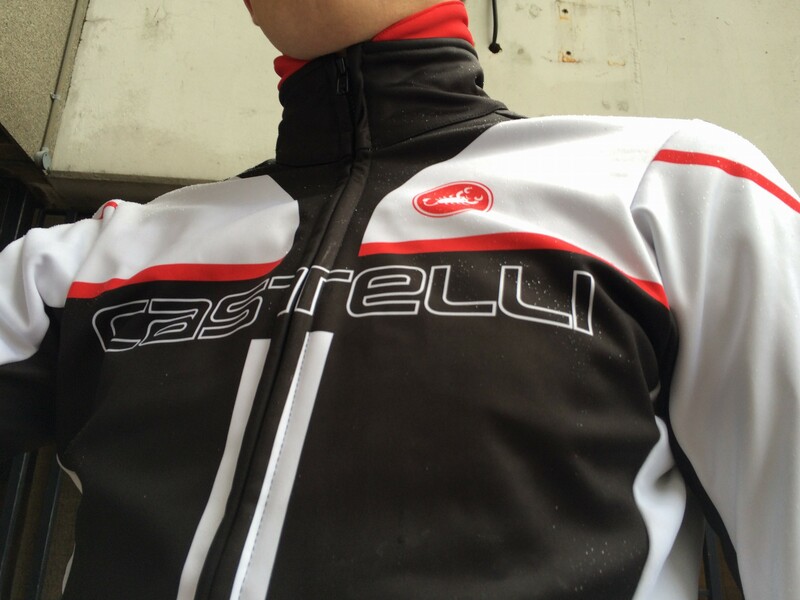 For such a warm piece of kit, the Castelli Free jacket is surprisingly light and slim. This certainly isn’t a jacket designed for posing off the bike, and won’t do anything to hide any unwanted off-season curves as you order your mid-ride cake. But once you’re bent over the bars the cut makes complete sense, never being baggy or flapping in the wind, fitting close to the body in all the right areas without ever being tight. Castelli are obviously confident that this slim fit will be enough to keep the jacket in place as there are no silicon grippers around the hem aside from the very small and only slightly sticky Castelli logos. Thankfully we didn’t have any problems with the jacket riding up, but it’s worth taking extra care to make sure you get the right size. 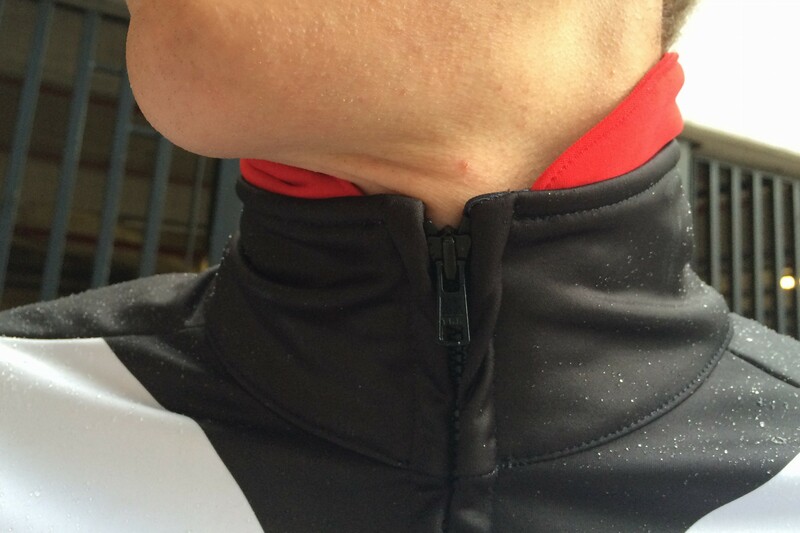 The only area where the Castelli Free jacket does not get full marks is the pockets. Although the pockets themselves are a decent size, the openings are simply not big enough and are only slightly elasticated. This is not toom much of a problem when riding with lighter gloves at the top end of the jacket’s temperature range, but once the mercury drops and the bulky winter gloves are pulled on it can be a struggle to slip you’re hand in, let alone pull out what you’re looking for. Despite this pocket-sized problem, the Castelli Free jacket is an excellent option for keeping you warm in cold, dry weather. The well-designed collar and cuffs team up with the Windstopper fabric to keep the cold at bay, while the slim fit will make sure you look as good as well as warm.